I recently returned to the U.S. after a ten day vacation in Ireland and London (and the fact that I first typed that sentence as “I just returned to the States after a ten day holiday in Ireland and London” means that I’m still there in my heart, clearly). In Ireland, I did wonderful things like drink a lot of beer, hang out in pubs, and win tiny bottles of Bushmills on literary pub crawls with my mad literary knowledge (i.e. shouting “Beckett! Joyce! Beckett!” at every trivia question until something came up right). And in London, I visited Hogwarts School of Witchcraft and Wizardry. Like you do. 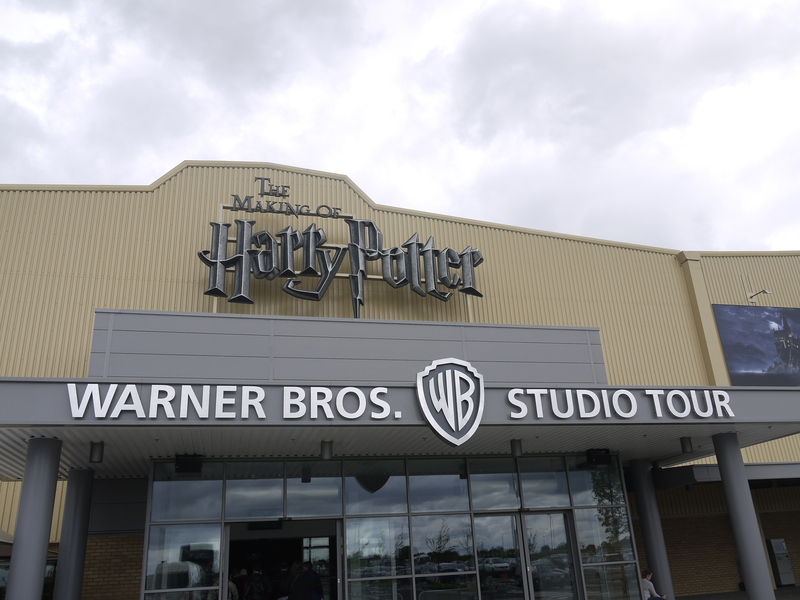 First of all, let me just say that if you are thinking about taking the Harry Potter studio tour, DO IT. It is worth the price of the ticket. It is worth the price of the PLANE ticket. I have about a zillion pictures of it, and I’ll post many of them as I talk about the tour, but honestly, nothing can compare with standing there and seeing those things with your own eyes. If you are a spoilerphobic type person who would rather just experience the whole thing for yourself, you can leave this post right here with my full-fledged, Potter fan stamp of approval. Go do it. Me: I am reading this really good book. I think you would like it. 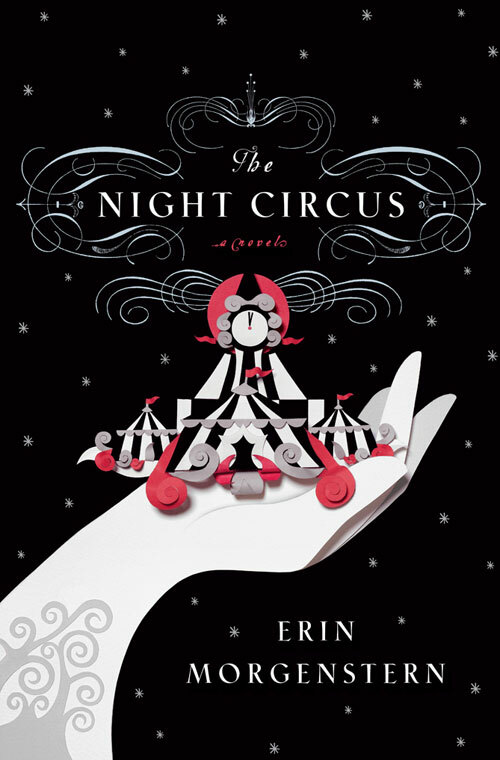 It’s called The Night Circus (by Erin Morgenstern , Doubleday 2011). It starts out with these two guys who each take an apprentice to train and eventually compete in some vague competition. Instead of a stage, their platform will be the Night Circus. Husband: Like Barnum & Bailey’s? I always liked the motorcycle Cage of Death! Me: Not exactly. 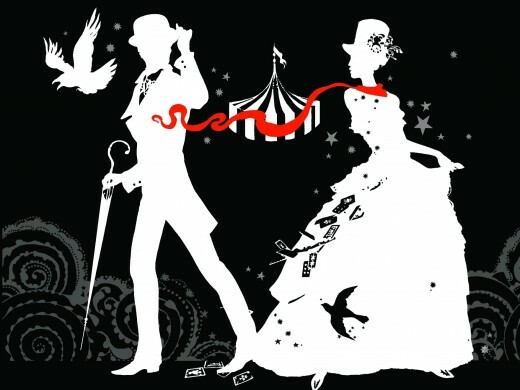 It is a special circus only open from dusk til dawn & everything is black & white… the tents, the costumes, everything. They have normal circus acts like acrobatics, but they have all kinds of other things you can’t even imagine! Husband: From Dusk til Dawn was an awesome movie. Are there vampires trying to eat everyone at the circus? Is Cheech there?! I bet Cheech loves the circus. Me: I say all of that & all you get out of it is Cheech? There are no vampires in this book. It is about magicians competing against each other to the death in a circus. They design these insane tents like one with a cloud maze and another is an ice garden and one is filled with jars & when you open one you are transported into a dream! They keep trying to one up each other, but at the same time keep the circus from imploding in on itself, possibly killing everyone in the process. Husband: Why do you read so many books with wizards in them? Me: Magicians are not wizards. They exist within completely different genres. Wizards typically have a staff or wand. These are magicians altering the physical world with their minds. Impressive, right? Husband: It is all magic, so it is the same thing. Circus wizards could be pretty interesting though. Me: If you would just read Harry Potter there wouldn’t be this much confusion. Husband: You knew I hadn’t read Harry Potter before we got married. I gave you an out. I’ll read them when we have kids. Husband: Yes. And do voices. Me: They are MAGICIANS not wizards. You’re doing it to annoy me now. Do you want to read about a fantastical circus that has kittens jumping through hoops of fire, an epic battle of wits to the death, & a not too mushy love story or not? Husband: No thanks. You know how I feel about wizard books. Over Labor Day weekend (yes, that Labor day weekend, the one two months ago… what of it? ), Anastasia Beaverhausen and I got our geek on (do we ever really take it off?) and attended Dragon*Con 2011. In between discussing the finer points of Doctor Who and bonding with fellow True Blood fans while waiting in line to see the cast, we attended a number of panels on the con’s YA Literature track. So for those of you who didn’t spend your holiday weekend with 60,000 sci-fi and fantasy uber-fans, here are a few con highlights we thought you’d enjoy. Harry Potter – From Page to Screen: (RS) This was a lot of people talking about how the books were better than the movies. Which… duh. But there were a few good points that came out of the discussion, and in general it was fun to sit around and hear other people talk about what they loved about the movies and what they wished they’d seen more of. A lot centered around the last movie, obviously, and one of the people on the panel said he’d have liked the movie a lot more if their special effects budget had been cut in half. Word. There was a lot of unnecessary action movie type things that really didn’t need to be there. There was a lot of general hand-wringing about things that were changed in the movie, but for the most part this didn’t really bother me as much as it seemed to bother the rest of the world. I realize that things need to be changed not only for time, but just for the way a story is told on screen verses on page. Surprisingly, there were a few scenes that people actually liked better in the movie, and a few additions that veered off canon but were thought to be good adds. One in particular was the scene between the trio on the stairs right before Harry went to the forest, which everyone really enjoyed even if it wasn’t strictly canon. So yeah, not much new stuff, but a nice look back at the movies. 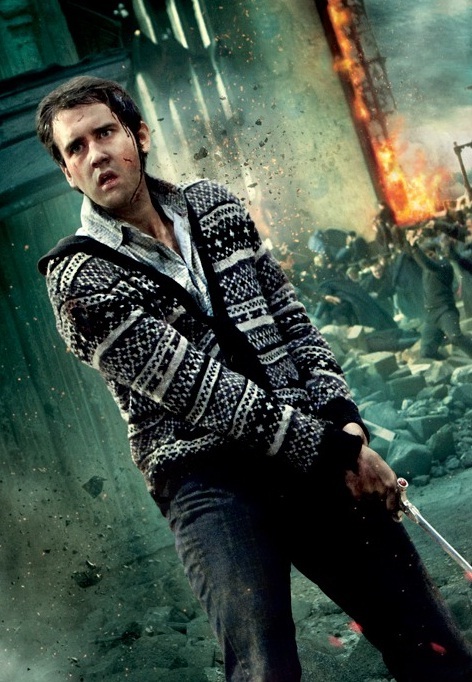 The Hero’s Journey of Neville Longbottom: (RS) Okay, full disclosure – by the end of this panel, we’d pretty much crammed everyone in the series into the mold of the hero’s journey. But that’s okay. First of all, I adore Neville, so I was down with any panel where he was the featured topic of discussion. The topic at hand was also very interesting because it delved into something I love about the books, which is the parallel between Harry and Neville. One of the most interesting points made in the panel was that while Harry’s mentor is Dumbledore, Neville’s is Harry himself. It’s a connection I never really thought about, but made perfect sense when I looked at Deathly Hallows from the point of view of Neville. Very cool, interesting panel. By the way, if you’re not familiar with Joseph Campbell’s hero’s journey and don’t have the time/inclination to pick up a copy of The Hero with a Thousand Faces for a bit of light reading, Wikipedia can help you out. The Hunger Games: (RS) Four days of programming and one HG panel? In the small YA Lit room? Epic fail, as evidenced by the mass of people who didn’t get in (including yours truly). Though I expect this will be a wake up call and lead to more discussion panels for the trilogy next year. Stay tuned. An Hour with Tom Felton: (RS) Just in case you didn’t know it, Tom Felton is delightful. If you ever have the chance to be in a room with him (and I hope that you do), you should seriously jump on that. * First of all, he called everyone “love,” which was was both darling and delightfully English. Second, he handled the panel like a pro. In the past, I believe he’d been with Matt Lewis and/or the Phelps twins, but he may have manned it alone in the past few years when I didn’t attend the Con. Either way, he was a champ at smiling at the giggling pre-teens, dancing around the awkward questions (oh, the awkward questions…), and calmly explaining to one girl that he was not, in fact, Draco, but that he could tell how he as an actor felt in a particular scene. One of the cutest stories was when someone asked if he’d kept anything from the set. After explaining that they weren’t allowed to and had, in fact, had their cars searched every night when leaving the last two films, he told us that he and Dan Radcliffe had planned to tie Dan up and put him in the trunk of Tom’s car for the security guards to find as they searched his car. Sadly, they never got to do this, but everyone was cracking up at the thought of the security guard finding Dan in the trunk and Tom’s casual, “wait, was I not supposed to take that?” The funniest part of the whole panel, however, was when a couple dressed to the tee as Lucius and Narcissa approached the microphone and asked him, in character, what happened between him and “that nice Parkinson girl.” He nearly fell out of his chair laughing, as did the rest of us, then shot back, “Mum! Dad! I told you guys not to show up here!” See? Delightful. *The chance, not Tom Felton. People tend to frown on randomly tackling adorable British twenty-somethings. It’s a glorious time for YA and I can’t wait to start reading! Leave a comment	| tags: Dragon*Con, Harry Potter, YA Fiction	| posted in Misc. Books Are Taking Over the Interwebs! Ok, so maybe not, but I thought it would be fun to share with you the epic and fabulous book related stuff I come across while on the internet… Enjoy! Grow House Grow: A Story for Every Storey- Grow House Grow makes hand silk screened wallpapers inspired by stories and narratives. Can’t afford to cover your house in designer wallpaper? No problem. GHG sells individual sheets for $48 which look incredible framed. The Completed Harry Potter Series in Comic Form by artist Lucy Knisley– We are clearly huge HP fans here at Rampant Reads & this cracked me up and made me go “damn! Why didn’t I think of that? !” On top of how awesome this is, the artist is currently allowing FREE downloads of large-format printable versions of her comics and asks only for donations. Help an artist out and support her work. Wookie the Chew! – I know this one has been around for a while, but it is one of my favorites. Artist James Hance takes famous children’s book illustrations and puts them into the Star Wars universe. For Geeks like me, this is possibly the best thing to happen since Stephenie Meyer said she wouldn’t publish Midnight Sun. And just when you thought it couldn’t get any better… Hance sells his prints for just $10. Still not satisfied? You can buy his book Wookie the Chew: The House at Chew Corner for just $5. The History of the English Language in 10-minutes- The Open University put together this 10 part series on the history of our language. Bibliophiles, lexicographers, and the rest of us lay people can all enjoy, get a laugh, and even learn from it. The Closet Book Nook – Now I don’t actually have the follow through (or closet space) in my house to make this happen, but you might! The Thrifty Decor Chick gives you simple step by step instructions on how to turn your average closet into a reading haven. What I would have done for this as a kid! The Periodic Table of Storytelling – Now storytelling is different than writing, but I think this more applies to the structure of stories, which is very similar in both genres. Out of Print Clothing- This fabulous web site sells t-shirts with out of print covers of classic books on them. I want them ALL! On top of them just being great shirts, for every shirt sold, they donate a book to a community in need through Books for Africa. A Jane Austin Afternoon – This website is simply a soundtrack to listen to while reading Jane Austin, so put on your headphones and dust off your copy of Pride and Prejudice. 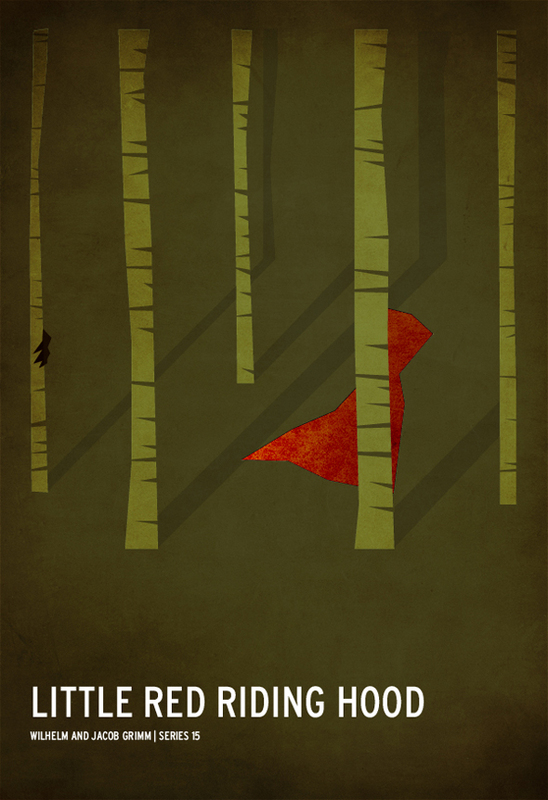 Minimalist Children’s Story Posters – These posters are gorgeous and for sale! I very much enjoyed guessing what story each poster was for. Some are pretty straight forward and others I had to give a second glance at. Designers and book lovers alike will appreciate these. As with every previous Harry Potter movie, I was with my friends at the midnight showing checking out people in costumes, overly excited and chock full of caffeine to stay awake (It is way harder to stay up until all hours at 27 than it is at 16). This time, however, was accompanied by a tinge of sadness, as this would be the last HP movie (unless Hollywood keeps up its ridiculous “we have no more ideas, so lets keep re-making old movies” thing. In that case, we will be back at HP midnight releases in about 20 years). On top of my nostalgia over the end of an era, I was also filled with dread, as I was not sure if I could ever be prepared for so many deaths that I knew were coming. We’ve held off discussing our opinions with each other until now, so enjoy! Princess Consuela: Yeah, they cut pretty much everything that wasn’t directly Harry-related. Fred was barely in the movie at all! Of course, had they reproduced the scene from the book, I would have been reduced to a sobbing mess in the theater, and I would have missed the rest of the movie due to the uncontrollable weeping. I managed to hold it together as it was. I can’t believe that Emma Thompson didn’t have any lines AT ALL. How do you get Emma to be in your movie and give her NO LINES? I think she got a couple of passes with the camera, and that was it. (ETA: I saw the movie again, and she does get a line. Clearly it wasn’t memorable enough to make an impression on me the first time. But I am very glad that she got to speak.) Also, can we take a moment to discuss how awesome McGonagall is in this movie? LOVE. Captain Awesome: I would have liked to see just about everyone, especially the house elves, fighting a little more, but it was probably WAY too expensive to do for scenes that weren’t essential to Harry’s story. My one big complaint was that nobody was around to witness Harry and Voldemort’s final battle! I don’t particularly care that it wasn’t in the Great Hall, but I think we really miss out on that cathartic moment when the whole crowd goes nuts once they realize that Voldie is finally dead. Plus I like to imagine that everybody is really confused when Harry starts going on about Horcruxes and Elder Wands. But overall I thought the movie was great. Especially the way that they handled Snape’s back story. Alan Rickman is a genius. SM: Absolutely! I loved how they did his memories. They didn’t shy away from his violent death either. If anything, it was more graphic and violent than I remember it. Snape is forever my favorite character. Please, enjoy this tribute to Snape with fan art AND BON JOVI! Anatasia Beaverhausen: I sobbed audibly through the last 45 minutes while clutching my friend Jessie’s hand. Our knuckles were white once the movie was over. And what I missed from the final battle was Percy’s redemption. That moment is one of my favorite’s from the entire book. BUT! I thought they did a great job on including details, but focusing on the main action of the narrative they chose from the book. And I loved getting at least the nod to characters they couldn’t include. Professor Sprout! rhymenoserous: I thought this movie was perhaps the most visually impressive of all of them. It was really beautiful, even when the scene was just dementors floating over Hogwarts. And I actually preferred how the movie handled some of the horcrux details. One of my biggest beefs with the book is how Ron and Hermione get basilisk fangs off camera. It seemed really amateur of Rowling to just mention that they went and got the fangs and destroyed the cup, and that was all done, moving on, etc. I’m glad the movie gave us more of an even pace. The Trio. Sniffle. WE LOVE YOU! 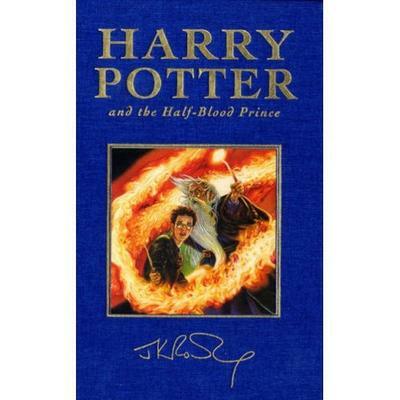 However, in the book you get much more about Dumbledore’s back story, and his life and the secrets he kept from Harry. They hinted at it in the movie, but we really didn’t learn anything new about Dumbledore. And I was really looking forward to seeing Dumbledore as a kid. PC: How did you feel about them moving the (AWKWARD) kiss to that scene? We missed out on Harry yelling at them for kissing in the middle of a battle, which is one of the only funny things that happens in that half of the book. I was looking forward to that. AB: I was ok with it, mostly because there were already enough (too many?) funny, tension-breaking moments in the battle. Which was frankly a lot more in your face and brutal than I had expected. I like that honestly, but wow, seeing the student bodies lying around was very jarring. SM: I did laugh a lot more than I had thought. It wasn’t too much though. And yeah, I was hoping for more of the Dumbledore backstory, but realistically, it was too much to put into a movie. There was very little of Riddle’s backstory as well. I liked how they had Harry “sense” the horcruxes because he was one. It explained a lot about how they found them, Voldemort in his head, etc., otherwise, there would have been all of this jumble about Hogwarts founders and everything that would only make sense if you read the books. CA: Another departure from the book that I enjoyed was when Harry steps out of the crowd in the Great Hall to announce his presence in the castle. I love the scene in Ravenclaw Tower in the book, but there is something so satisfying about Harry confronting Snape face to face one last time. Plus McGonagall gets to act like a badass and the remainder of the Order of the Phoenix (which pretty much of consist of Kingsley, the Lupins, and the Weasleys at this point) gets a dramatic entrance. I said it before, but Alan Rickman is amazing in this scene. You can tell he doesn’t want to blow his cover, but it is killing him that everyone else can’t know the truth. SM: It is clear that we should all be members of the Alan Rickman Fan Club. You know there has to be one. PC: I want to be a member of the Maggie Smith Fan Club, too. Robin Sparkles: Indeed. And the scene where Snape died? I agree with whoever said it was even more graphic than they remembered in the book. I was a little worried that they would gloss over the violence of his death, so I was so happy to see that they went full force into that scene. Well… happy may not be the word. I believe Captain Awesome and I were in the middle of a major sobfest by this point. And speaking of sobbing, can we talk about the scene in the woods between Harry and his parents? And yes, I do mean all of his parents, Lupin and Sirius included. This was one of the most touching scene for me in the book, because he’s had to be this big hero for the world but in that moment, surrounded by all of these parental figures he’s lost, he can be a scared little boy in the few minutes before he walks to his death. And the movie did not disappoint. I really feel like Daniel Radcliffe stepped it up a notch with both parts of this movie, particularly in the more quiet scenes. Rupert and Emma as well. I thought they all did such an amazing job. AB: That was one of the scenes that I was most looking forward to seeing (and worrying that it wouldn’t live up to what I had in my head). Luckily, I thought they did a great job, though I wish we had gotten a shot of him walking with them through the woods, surrounding and protecting him. The other scene that I wish had been played slightly differently was Hagrid reacting to Harry’s death. He’s supposed to be a complete wreck, which is pretty much the only way he would notice that Harry isn’t actually dead. Robbie Coltrane played his silent grief beautifully, but one of the things I love about Hagrid is his giant heart and how he wears it on his sleeve. Our boyfriend Neville, being awesome. RS: I actually went to see the movie a second time yesterday, which helped a lot because much of that final battle was just lost on me the first time. You know, due to all the crying. Anyhoo. I sort of agree about Hagrid, but then I wonder if he’d been sobbing if it would have played out as to over the top for such a serious scene. But really, I hardly noticed anyone else in that scene anyway because of Neville stepping up and being AWESOME with his speech and pulling out the sword and… gah! How is he so fantastic? Love him. One scene that really grabbed me, particularly yesterday in my second viewing, was the scene with the trio right before Harry goes into the woods. 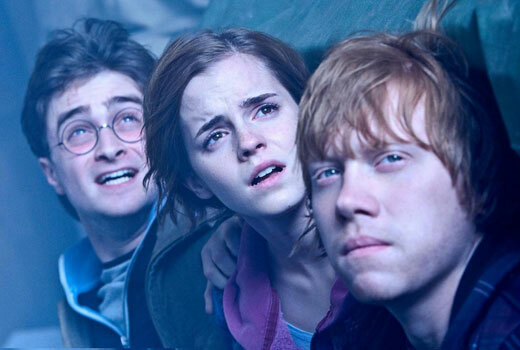 Just the heartbreak on Hermione’s face when she realizes that he’s not coming back, and her “I’ll go with you.” And then Harry and Ron just looking at each other over Hermione’s shoulder. Amazing, amazing scene. Okay gang, we could probably talk about this movie forever, but that would be a very long and ultimately boring post, so what are your final thoughts? Mine? Loved it! 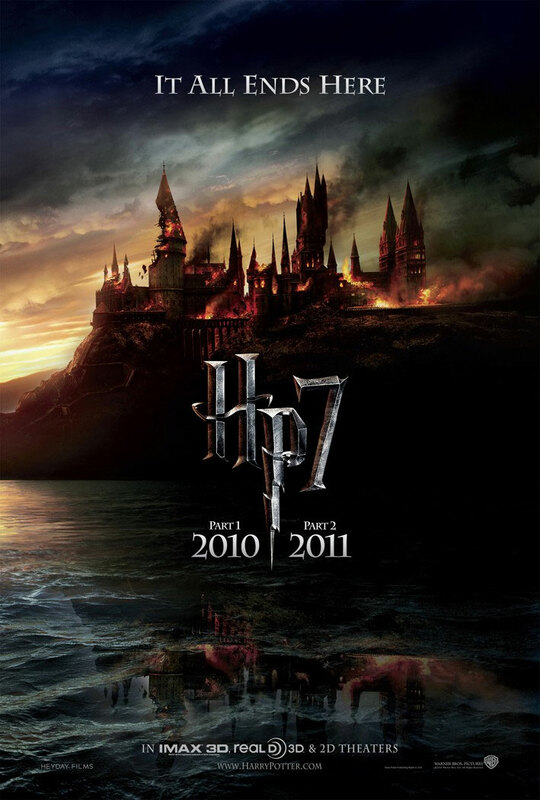 Overall, I think parts 1 and 2 of Deathly Hallows are the best of the series. They are gorgeous and intense and everything I wanted them to be. They veered off canon in just the right places to give the movies a great pace and their own special scenes (dance between Harry and Hermione in part 1, I’m looking at you), while still staying true to the book. I’m so sad that this series is over, but this was the perfect ending to one of my favorite book and movie series of all time. PC: Final thoughts? Loved this movie. Must go see it again before it leaves theaters. Gorgeous? Check. Compelling? Check. Gut-wrenching? Check. Amazing. I grieve for the end of the series, but there is always Pottermore to look forward to! *hangs hopes on shiny new site* Don’t disappoint me, JKR. You’ve already assigned me a stupid Pottermore username, but I will withhold judgment until I get in to look around. I hear there’s McGonagall backstory. It could help. SM: I not so secretly loved it… both times I saw it. Yes, I went back and saw it again. It was better the second time around. There was a lot that I missed the first time. It was a solid end to the series and I want McGonagall to be my best friend. And Nevile in his Cosby sweater. I wonder if he has a whole closet full of those? Rhymenocerous: Sad that it’s over, but we have Hunger Games to look forward to now! CA: I’ll miss the excitement and anticipation of a new Harry Potter movie, but the series definitely went out on a high note. I was on the edge of my seat, despite knowing what was going to happen, and every secondary character got at least some small moment to shine. I think I ran through a gauntlet of emotions watching this movie: joy, terror, triumph, sadness, amusement, sadness (it bears repeating. ), pain, and contentment. And I look forward to doing it all again, although hopefully with a bit less sadness. Now, who wants to go to The Wizarding World of Harry Potter? Books We Force On Our Friends: Dumbeldore’s Army. Still Recruiting. Edition. I started reading Harry Potter much earlier than my peers, a fact that I kept to myself like a dirty, dirty secret. I must have gotten the first one in 1998 or 99…my mom gave it to me, and I was like “Moooom I’m too OLD for these!” Oblivious to my horror of being seen with a (gasp) middle reader when I was sooo aged, my mom insisted that it was really good (someone had told her about it I guess), and since I will read literally anything in front of me (like Ron Burgandy), I quickly got sucked into Harry’s world (sidebar: ironically, my mom claims now that she never bought my first Harry Potter, she never endorsed him, and that he is evil and satanic. James Dobson told her). I kept Harry to myself until the movies started coming out and it was socially acceptable to be obsessed with him. Like everyone else, I waited feverishly for every new release—my similarly bibliophilic dad would pre-order them for me as a way to lure me home to visit. 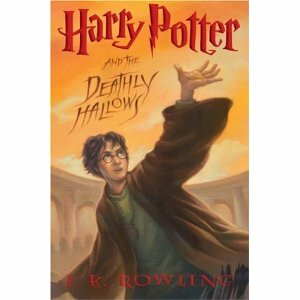 The summer that Harry Potter and the Half-Blood Prince was released, I was studying abroad in Cuba. The very night that I came home, my mom and dad picked me up at the airport with my copy of the newest book. I started reading it in the car on the way home, and stayed up until I finished it. And then I read it again the next day. While eating whatever food I could get slathered in ketchup. They don’t have real ketchup in Cuba, fyi if you ever go, bring your own. I missed it more than my family. 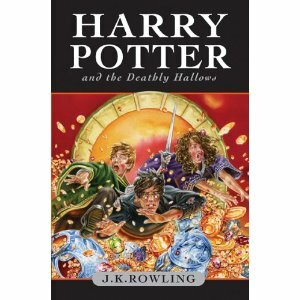 Anyway, even though I couldn’t wait for Harry Potter and the Deathly Hallows, I similarly dreaded my favorite series ending. I kept hoping JK had gotten it wrong, and she couldn’t fit it all into one book, and would have to write another (which I’m still holding out for). And when I first read Deathly Hallows, I was bitterly disappointed. But perhaps that’s too strong. I was just kind of disappointed. The bitter part can probably just be attributed to my neggy* feelings over the extinction of the series. However, I remember thinking the last book wasn’t as great as the previous six, felt a little crowded and rushed, and in general displeased me. I stayed up all last night to reread it for this post (in comparison to the first six, which have each been read at least 5 times [and some as many as 15] I think until last night I’d only read Deathly Hollows twice). And this time around, maybe it was the nostalgia or the fact that I had an entire chocolate cake, but I enjoyed it much more. -We find out so much more about Dumbledore and his past. Since I’m at a different place at my life now, this meant more to me than it did in my prior readings. I found myself relating a lot more to Harry, and the feelings of guilt and regret from losing someone, and realizing how little you knew about their past, or having questions you wished you had asked. -We get to finally put all the pieces together about Snape and his twisted feelings about Harry, Harry’s parents, Voldemort and Dumbledore. I always enjoy the parts when we go in someone’s memories. ALWAYS. -I liked seeing Neville step up and take charge in Hogwarts with the D.A. Especially now that he’s gotten so good looking. -It takes them more than half the book to find and destroy the locket, only a few chapters to find and destroy the cup, and about three pages to find and destroy the diadem. This is what I’m talking about when I say it felt rushed. -So many people die. I know this is unavoidable, and I probably would complain about the lack of realism if they didn’t die (I know, there’s no pleasing me) but I can’t help but mourn some beloved characters right? Especially you Fred. I’ll never let go. -The epilogue where everyone’s grown up, and married, and happy, and has kids named after dead people, and going to Hogwarts. It was too cheery and fake for me. Either write seven more books about Harry and Ginny growing up, getting married, gaining weight, and having mid-life crises, or don’t bother. I mean it Rowling. No matter my complaints, I was sad to finish the series. And now the movies are over! What are we going to look forward to now? My love affair with Harry Potter began in January of 2000 when I was home from college on winter break. All my friends had already gone back to school, so one day, out of sheer boredom, I picked up Harry Potter and the Sorcerer’s Stone. My mom had purchased a copy for my little brother on recommendation from our local indie (Hi Rakestraw Books!) and she’d been bugging me to read it ever since. I had been resisting thus far, because I was in college and didn’t read children’s books, but eventually she wore me down. I ended up reading the first three books in a day and a half. An obsession was born, as was an inkling that I might want to work in children’s book publishing one day. I was still in college when Goblet of Fire came out, worked a midnight party as a bookseller for the release of Order of the Phe0nix (an experience that cemented the idea that I was not built for retail), was attending a graduate seminar in publishing when Half-Blood Prince was released, and finally had a full-time job in children’s publishing when the series ended with Deathly Hallows. I can’t claim to have spent my childhood with Harry Potter like some people, but in a sense, I did grow up with him. Harry Potter and the Half-Blood Prince (Scholastic 2005) is a bit different than the rest of the books. On the one hand, we’re finally getting this very serious Voldemort back-story that sets up the plot for the climax of the series. Yes, it’s necessary exposition, but these scenes quietly build up the tension and anticipation until things explode into chaos and awfulness at the end. On the other hand it’s also the last chance for teenage hormone high jinx before characters start dropping like flies in Deathly Hallows. I love that even though these kids have the weight of the world on their shoulders, they still act like typical teenagers. Between the Romilda Vane love potion fiasco and the My Sweetheart Necklace, Half-Blood Prince makes me laugh more than any other Harry Potter book. These two different tones could be wildly incompatible, but to me at least, it works. With the entire Wizarding World now openly at war, it’s nice to have the humor to balance the darkness. And the zombies. Man are those things scary. When re-reading Half-Blood Prince I tend to skim the Pensieve exposition scenes. It’s terrible I know, but Voldie was a really creepy kid who grows up to be an evil megalomaniac. I get it. What I do look out for in those scenes is Harry’s evolving relationship in Dumbledore. After the tragedy of Sirius’s death, which might have been prevented if he had just told Harry what the hell was going on in the first place, Dumbledore prepares Harry to be an active participant in the fight, rather than the object or symbol that both sides are fighting for. And even though he still has a temper and his pet “Draco and Snape are working for the Death Eaters obsession” (which turns out to be RIGHT. Sort of. ), Harry also gains a new maturity and confidence. Also, I LOVE the scene at the beginning where Dumbledore lays into the Dursley’s for how they’ve treated Harry. He said exactly what I had been wanting to say for years, only I probably would have let those firewhisky mugs beat them a lot longer. It was so satisfying. Of course Dumbledore’s biggest impact on the story comes at the end, when he, you know, dies. SPOILER! Dumbledore’s death was actually the only one in the series that didn’t surprise me. As Princess Consuela said, this is a classic Hero’s Journey, and in a Hero’s Journey, the mentor has to die so that the hero can come into his own. That doesn’t mean I wasn’t extremely sad, particularly while reading the reactions of Lupin, McGonagall, and (sob!) Hagrid. His death also raises a lot of questions. Why was he begging Snape? What was he raving about when he was drinking the potion? And how the hell is Harry going to find all those Horcruxes by himself? And we had to wait 2 whole years to get the answers to those questions. Torture! 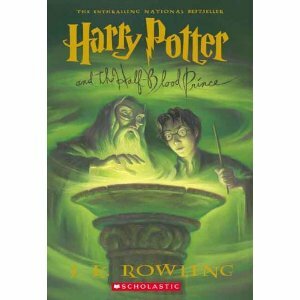 Now we can’t talk about this book without discussing newbie Professor Slughorn. He’s really the first noticeably non-evil Slytherin that we get to know. Though he has lingering prejudices against muggle-borns, Old Sluggy is drawn to people with talent and potential, no matter what their lineage is. He enjoys his luxuries and being the Kingmaker, but has no desire to actually lead or join the fight himself and his exuberance masks a deep shame about his role in Voldemort’s rise to power. Like every character that inhabits this world, he has layers. He’s a nice contrast to all of the heroes and villains running around this series. 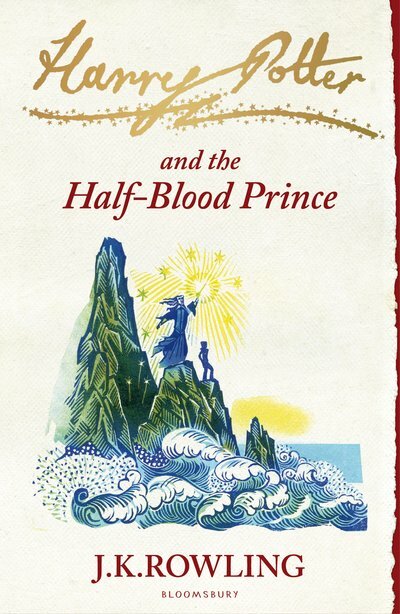 And of course we have Snape, the Half-Blood Prince himself, who’s both a hero and a villain. Or possibly neither a hero nor a villain. Whatever, it’s complicated. He’s probably the most interesting character in the whole series and it’s fascinating how much your perception of Snape changes once you re-read the books. Moments that seem so black and white the first time around, become a lot more nuanced and layered the second (and third, and fourth, and so on) time around. I don’t want to step too much into Deathly Hallows territory, so I’ll just say that overall I don’t think Snape is a good person — he’s too malicious and cruel — but he’s not evil and he’s definitely not a coward. My favorite part of Half-Blood Prince though is, of course, all of the teenage romance drama. I mean, most of us have never been The Chosen One in an epic fight against evil, but we might understand what it’s like to pine for your best friend like Hermione, date someone just because they like and want to make-out with you like Ron, or lust after your best friend’s sibling like Harry. And I remember a couple years ago when my little brother was still in high school and he was so perplexed that the girls in his class were so … giggly. And occasionally weepy. That’s sooooo Lavender Brown. She’s might be a bit of a stereotype, but there are tons of Lavender Browns in high schools all across the world I hope they all have better taste in jewelry though. Ron and Hermione continue their “will they, won’t they” nonsense which has been building up FOREVER. Seriously, just make out already. Ron, being a typical teenage boy, acts like such a prat, but I love that even practical, rule-obsessed Hermione loses it. She’s confunding people, attacking people with magic birds in fits of emotional rage, and revenge dating narcissistic (and apparently handsy) assholes. She can sometimes come off as such the goody two-shoes, that it’s awesome to see that chink in her armor. And of course, Harry is put hilariously and uncomfortably in the middle. I love the scene in Herbology where Ron and Hermione start tentatively, and somewhat vaguely, discussing their feelings for each other, and though Harry’s not surprised, he starts making a lot of noise so he doesn’t actually have to listen to it. Amazing. And Harry has his own problems, what with the mysterious chest monster (which by the way just might be the most ridiculous/funniest metaphor for romantic angst that anyone has ever come up with) that pops up every time Ginny is around. Now I didn’t have any strong feelings one way or another about who Harry should end up with, but I enjoy Harry and Ginny together. Some of my co-bloggers disagree — and I’m sure will explain why in the comments — but I think they both have a thirst for adventure and a quick tongue that makes them compatible. Plus, their first kiss after Gryffindor wins the Quidditch Cup is satisfyingly triumphant and dramatic. I enjoy a passionate romantic gesture, as long as it’s not happening to me. Although, poor Dean Thomas, who I became inexplicably obsessed with after reading Deathly Hallows. It’s gotta be rough watching your ex-girlfriend hook up with The Boy Who Lived. “‘You said to us once before,’ said Hermione quietly, ‘that there was time to turn back if we wanted to. 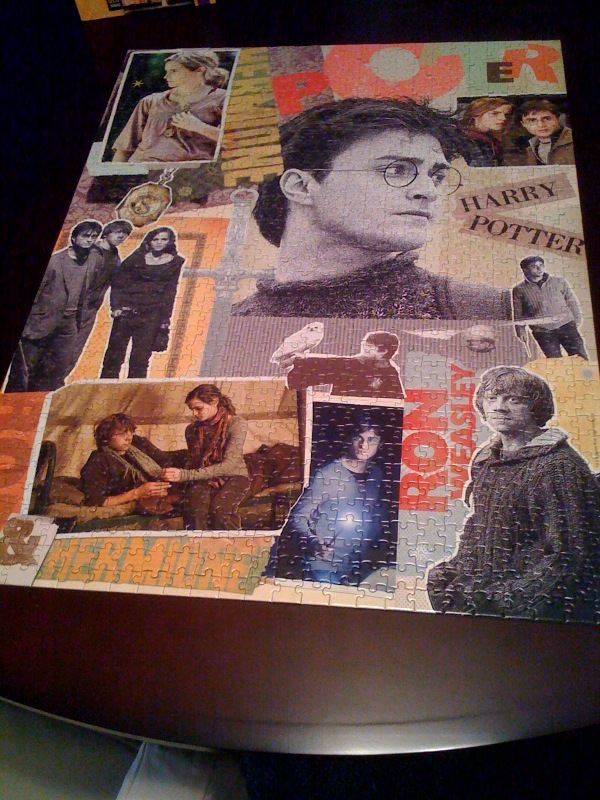 In case it wasn't clear that I am a huge dork, this is the jigsaw puzzle that I did last week. It's ok to be jealous. I remember being more anxious after finishing Half-Blood Prince than I had after any other book in the series. The answers were so close and I just knew that book 7 was going to be crazier and more intense than any that had come before it. I was not wrong. However, I also felt a little sad that the adventure was almost over, that book 7 was the last Harry Potter book I’d ever have to look forward to. I feel the same way about the last movie coming out this week. I am super excited to see the culmination of the story on the big screen, but this is it. Oh well, I guess I’ll just have to re-read the books for the 43rd time. Thanks for the magic, Harry.